Designing a kitchen requires many decisions, some seemingly minute to grander considerations like countertops, cabinetry, and appliances. Choosing a backsplash is one of those choices that may seem small, but can have a huge impact on the overall feel and aesthetic of your space. The backsplash is an opportunity to get creative and infuse your personality into the design, creating a focal point that ties the entire space together. 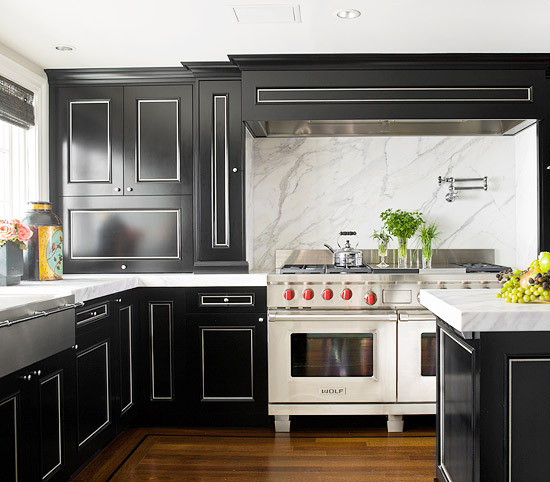 There are a few backsplash options to consider, depending on your tastes, your budget, and your needs. The more traditional three or four inch backsplash is a great option for those on a budget, but looking for something functional and beautiful. The backsplash goes 3 or 4 inches up the wall from the countertop, and runs the entire length of the wall. This makes for easy cleanups and protects the drywall and paint above the backsplash. Keep the functional. Add some pizzazz. 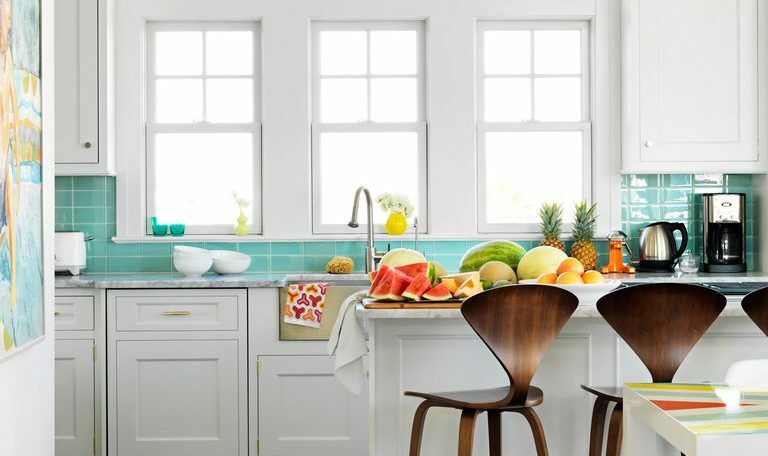 Tiled backsplashes are a great way to add color and personality to your kitchen. They come in individual pieces or sheets that provide the advantage of being able to replace a single tile if one happens to break, as opposed to having to replace the entire backsplash. Tiled backsplashes complement or accent countertops, hardware and appliances, and can be as bright or subdued as you want them to be. When choosing your tile, be aware of any underlight on the range or cabinetry because tile can be very shiny with those lights on them. Dressed to impress (the wall, that is). If money is no object, or a super fancy piece of stone artwork has been worked into your budget, a full height backsplash is the way to go. A solid piece of stone, typically additional stone used for the countertop, goes up all the way around the cabinets creating a dramatic look that is easy to clean. Whatever you choose for your backsplash, there are plenty of options that meet your needs of functionality, as well as your budget and aesthetic preferences. 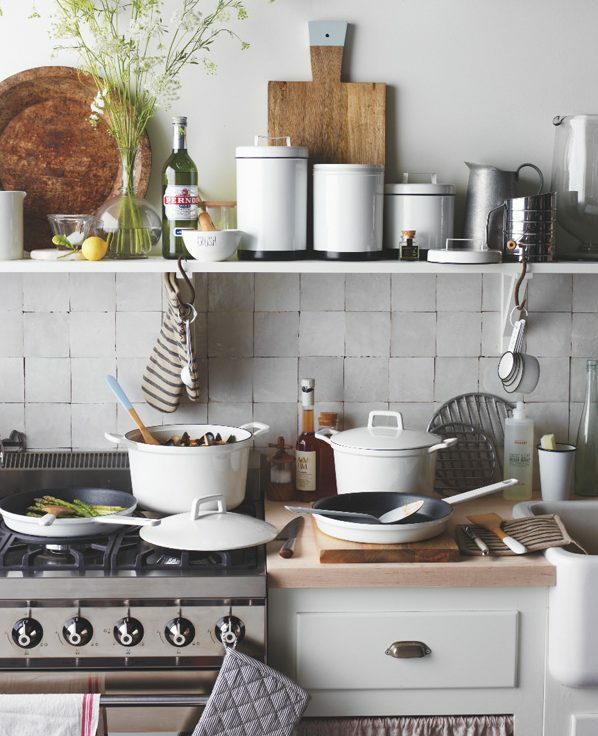 When considering a backsplash, think about how often you cook in certain areas (maybe a full height backsplash would be great behind the stove for easy clean up of oil and grease, while you opt for tile for the rest of the space), what effect you are aiming to achieve, as well as how those choices fit within your budget. 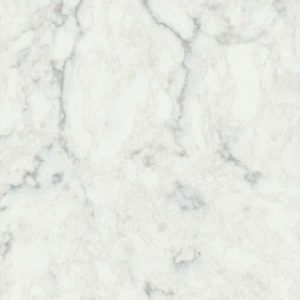 « Think Quartz Countertops Aren’t Affordable? Think again!